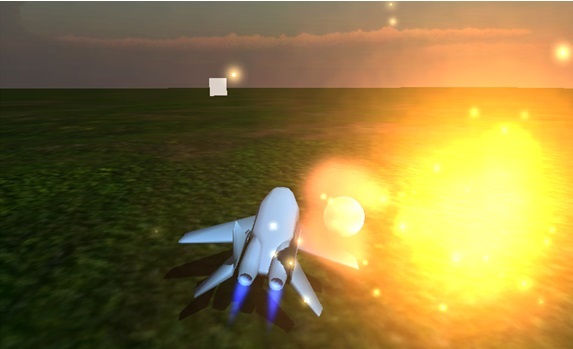 Game was made in summer 2013 as part of presentation on creation of 3D game. It is a remake of old Atari 800 game called 'Landscape'. 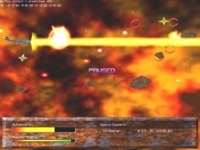 Game contains enemies identical to ones in original game, also goal of the game is same - destroy final pillar. Contains only 1 level. 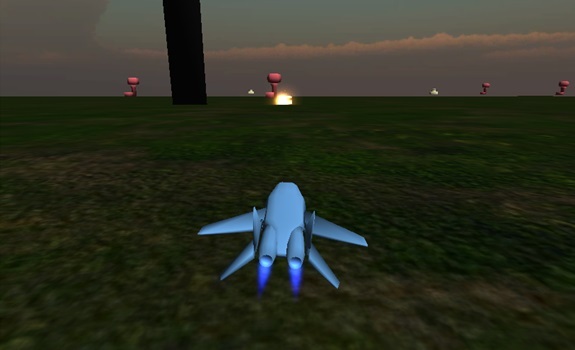 Game was finished and released in winter 2004 to take a part in Becher Game 2004 competition. 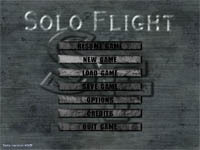 Solo Flight ended up in 3rd place in action games category. Game is in 3D, but with view is 2D like - no free camera movement. 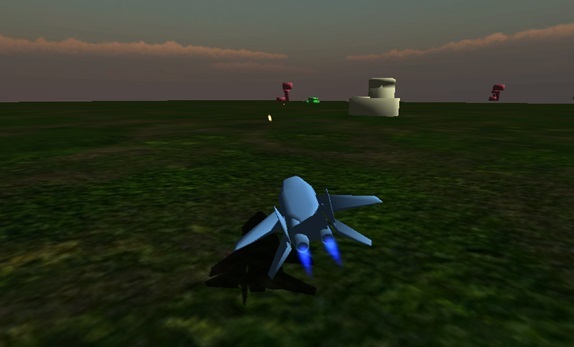 All 3D models were created in, for game made, simple 3D editor - models are extremely lowpoly. 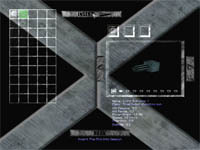 Along with game, editor for pathing the enemies and item editors were created. 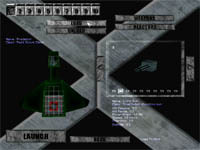 Game contains executables with English and Czech version. It's a classic 'shoot'em all' arcade with possibility to change/modify/upgrade your equipment and weapons. Ships armor can be plated with materials, weapons can be modified using chips, energy generators can hold various types of fuels. Released in winter 2004. 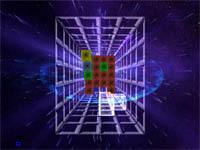 This game is a remake of a old game BlockOut - 3D Tetris. Controls are also BlockOut style. This is kind of tribute to Alexey Pajitnov, designer and programmer of original Tetris we all loved so much. 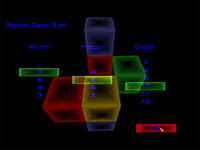 Classic 3D tetris with configurable size of shaft. 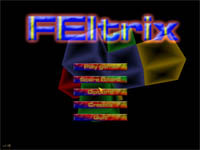 It was named FEItrix, where FEI stands for Faculty of Electronics and Informatics, after place we studied at (people that contributed to this game).